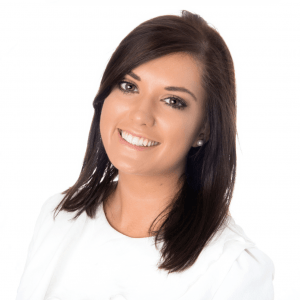 Musgrave grad and assistant brand manager for Centra, Niamh Scally, shares her experience of the graduate programme and has some great tips for new graduates coming into the programme. My days are very diverse and can vary from being in the office, in a store or at a shoot. On a day-to-day basis, I work on producing communications for Centra stores, so this may range from producing social, radio ads, creating point-of-sale or working closely with in-house designers to create handbills, press or quality brochures. The beauty of my role is the unpredictability – I always have a project to work on, so this could range from working in event management, cross functionally or at a food shoot which is always an exciting experience! What has surprised you about working at Musgrave Group? Personally speaking, being on the Graduate Programme has opened a lot of opportunities for me; I feel people are more aware that I am here to learn, develop and grow as a professional and this has definitely sent more challenges my way. It was a nice surprise to see that the Graduate Programme was so well regarded by others. It’s a conscious investment that the company puts into my career, but Musgrave is really good for investing in their people in lots of other ways also. We hear Musgrave has great perks… which one is your favourite? My favourite perk is the diversity of the role – yes it may sound mundane but the Graduate Programme is all about development so this, for me, is true! Working in such a big company has provided me with so many opportunities; within a year I have gained experience in a broad spectrum of areas like digital partnerships, store fittings, store design, food leadership, strategy, food photography and videos, social media, event management, value for money and finance; building on existing strengths and developing more. The opportunity to move around my team has definitely been a massive advantage. What first attracted you to the Musgrave Graduate Programme? Coming from a rural community, I have grown up with a love for food, but above all, have seen first-hand the positive effects of supporting local producers. For me, Musgrave has been rooted in the community for years and years, and the business is a supporter of everything local. That’s why I picked the brand. The Graduate Programme itself was extremely attractive to me as I knew there would be an opportunity to rotate within divisions. This would really give me a chance to broaden my horizons and soak up as much experience as I possibly could whilst maybe giving me the opportunity to work with different brands. Another really attractive aspect is the training that we would receive at the Irish Management Institution – I felt this would help me develop confidence in areas like public speaking, presenting and negotiating by providing me with practical tips and experience – which it has! How do you think this programme will help you in your future career? What I am learning now is definitely providing a strong foundation for the rest of my career. Through the IMI I am learning to deal with situations now that I have never experienced before which is great for character building. Getting a taste of big projects like our Retailer Conference (an event with over 1,000 delegates) and Tradeshow – learning ways of working and gaining insights will definitely help me in the future. One of the greatest habits I have gained through this programme is the structure – by implementing personal targets, it really gives you a measurement for your progression and this is surprisingly rewarding and something that I intend to take forward. With a real emphasis on gaining experience and progression it makes you more hungry and ambitious to learn, succeed and develop. It gives you that extra kick to put yourself out there, push out the boundaries and get outside your comfort zone. Have you any top tips for applying? My advice would be: be enthusiastic, opinionated, dare to be different and don’t hide your passion. When working in Musgrave, you quickly learn that your team is as invested in the goals of the company and care as much about their stores as the retailers themselves. It’s important to have a passion for what the company does, whether you love food, dealing with people or have real faith in what our brands do – like supporting local; it’s important to express this because that’s what they like to see – people that really care about the company’s values, so try to communicate this in your application. It’s not all about plain sailing either, in my opinion it’s important to have your own personal train of thought and share your opinions on food retail, do not be afraid to think differently in an effort to add value. Food retail is a very fast moving and competitive industry these days, so it’s good sometimes to be able to challenge the norms and ways of thinking – expressing your opinions shows great initiative and drive and if you don’t try, you will never know what could have been.